I know its been a while since I wrote anything on Left Coast Voices but I feel compelled to. It’s 1am on Sunday morning and I am staring at the sad news: Tom Rossi, a contributor to the blog, passed away last week after a tragic car accident. I admit we grew apart at some point, life just got in the way, as it does with so many friends. We only realize, of course, when it’s too late. I wish we had been in touch around the election – before and after. I could use his strength and sense of humor right now. Tom wrote some great posts: politically cutting, cynical, funny, and satirical. He hid his frustration with the injustices of our world because he was too smart to be able to ignore it.He fought his own personal battles, but never gave up on the collective struggle. My thoughts and sympathy go out to Marianne Ingheim Rossi, his dear wife. I cannot imagine what it is like to lose your soul mate. I hope you will find the strength you need. 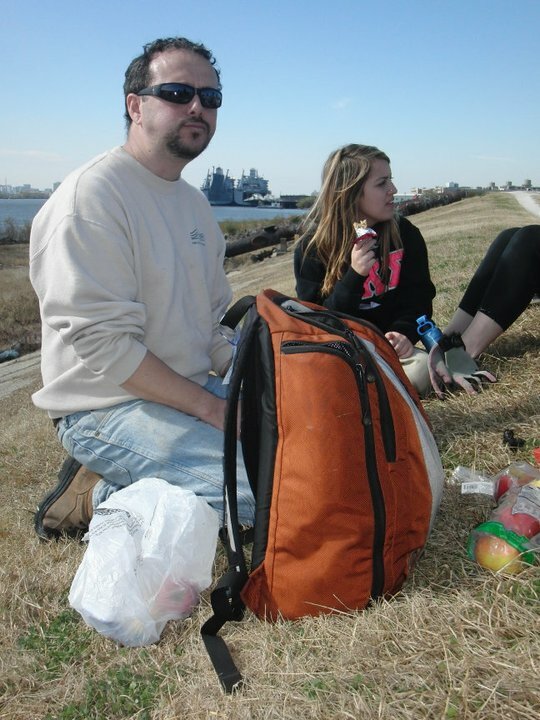 There will be a memorial next Sunday and details will be posted here. R.I.P Tom! I’m sure you’re up there already campaigning for equal rights for angels. I hope we will honor you by continuing the good fight. Alon Shalev is the author of the 2013 Eric Hoffer YA Book Award winner, At The Walls of Galbrieth, and five other Wycaan Master books all released by Tourmaline Books. The link above takes you to the Kindle versions. For all other eReaders, please click here. More information at http://www.alonshalev.com and on Twitter (@elfwriter). I have just returned from our annual family camping trip: the opportunity to rest, fish, hike with the family, and write 12,000 words of a novel I should never have started… the usual. 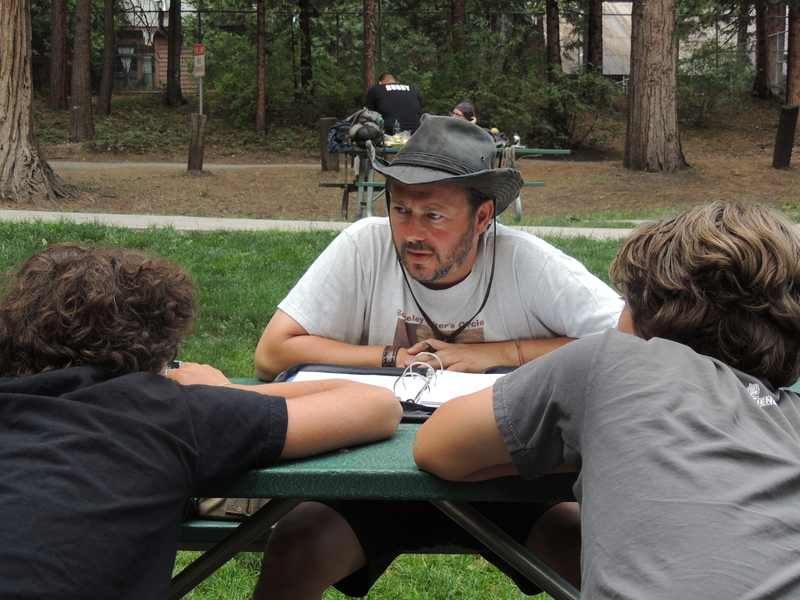 Being 90 days away from the release of From Ashes They Rose – Wycaan Master Book 5, also meant it was time to honor a now six-year tradition and read the rough first draft of book 6 to my sons in the forest and around the campfire. Every morning I would drive down the mountain slope where we had pitched our tents and, at the junction, make a choice: turn right to get ice from a machine or left to buy it from a store. Each time, I turned left. On the final day of our trip, my eldest joined me and asked why I chose the longer drive each day. “I prefer to buy the ice from a human being,” I replied. He made a joke about any consumer options purchasing from an elf – I have him well-trained. What struck me is that I had not made a conscious choice, but I preferred the brief conversation with the cashier than the dull whirl of the ice machine. There is a certain irony here. I am reading an excellent book about online marketing – Authorpreneur in Pajamas by Geraldine Solon – and marveling at how social we can be on social media. And yet I choose to turn left appreciating the human touch in the interaction. The Internet is amazing. Truly. But a chilled beer around the grill or campfire with family and good friends is not something that can ever be totally tweeted/snapchatted/instagrammed/etc. The aforementioned author, Geraldine Solon, while she sung the praises of social media, made it very clear that she loves public signings and meeting her fans in person. I have met Ms. Solon on a number of occasions around the Northern California authors’ circuit. She is so vibrant and eloquent. Each time she has gone out of her way to introduce me to people I don’t know and always a deserved crowd hovers around her author’s table, from where I hear laughter and frivolity. Ms. Solon might be an expert on the topic of social media, but she also loves being with people. I am sure her considerable success is due as much to one as the other. If Ms. Solon was buying ice while camping, I am sure she would turn left and purchase from a human being. She would probably buy herself an ice cream too ’cause she’s on vacation. And why not? 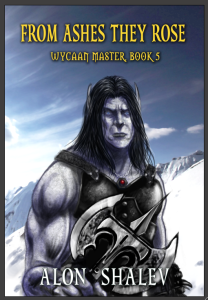 While I have your attention, From Ashes They Rose, the fifth in the Wycaan Master series, will be released in September 2015. To celebrate, Tourmaline Books have lowered the price of the award-winning, At The Walls of Galbrieth, to a mere 99 cents for the ebook. I’m not sure for how long this will remain so. 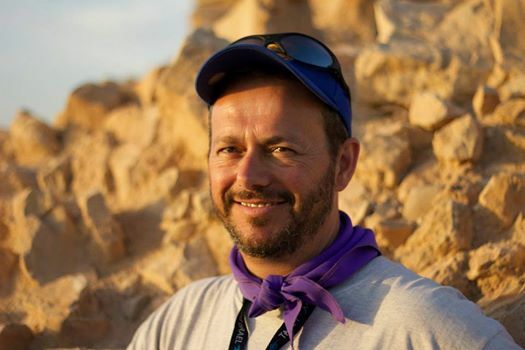 Alon Shalev is the author of the 2013 Eric Hoffer YA Book Award winner, At The Walls of Galbrieth, and three more novels in the Wycaan Master Series: The First Decree, and Ashbar – Wycaan Master Book 3, and Sacrificial Flame – all released by Tourmaline Books. 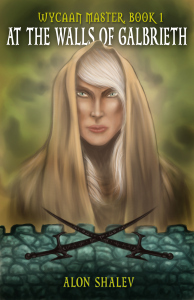 From Ashes They Rose, the fifth in the series, will be released in September 2015. The story continues. American Jewish World Service has just passed the $1 million mark, raising funds to help our grassroots grantees, primarily in Liberia, and they are doing amazing work. The fact that these individuals and organizations have such credibility among their own communities and are themselves facing the same dangers, enables them to effectively communicate with a suspicious and petrified population. Please join AJWS San Francisco for a special briefing with our President, Ruth Messinger to receive updates from our grantees and discuss how we can continue to make a difference. If you have donated to the Ebola campaign or are still considering how best to help, please join us on Monday, December 08, at our office (see below) for a light breakfast. 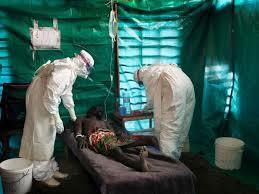 The unprecedented Ebola outbreak has already claimed nearly 5,000 lives in West Africa and while the spread of the virus has slowed, the devastating crisis is far from over. Thanks to the generous supporters of AJWS, we are already helping save lives. 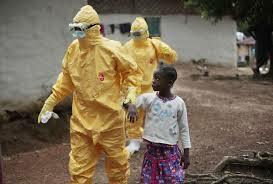 Courageous Liberian grassroots organizations are going door-to-door and on the radio waves to educate their communities about how to protect themselves and their families from Ebola and get help for the sick. With compassion and dedication to justice, they are transmitting life-saving messages of prevention and hope. This week I passed the 100-day mark as executive director of American Jewish World Service, San Francisco and the Western Region. To officially welcome me, the community held a meet-and-greet reception at Perry’s in the City. I want to share the text of my speech (though I probably didn’t keep on script as I spoke) as it felt like an opportunity to tie a number of loose threads from my life into an order. It is also a genuine expression of my love for the work and the organization I represent. After I told my mother-in-law that I had accepted a position with the American Jewish World Service, she went online to see what this organization was all about. She later told me that she felt as if someone had created this organization specifically for me. I have been deeply involved with social justice all my life. 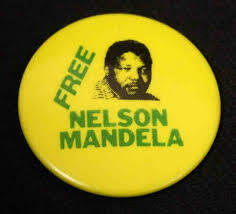 I made my first political protest and speech at age eight when a teacher told me to remove a Free Nelson Mandela sticker from my pencil-case. When I refused, and I was a well-behaved student, she said I could keep it provided I stand in front of the class and explain who Nelson Mandela was and why he should be freed. I probably described him in superhero terms, but I hope for all of us that my oratory abilities have improved since. I am 100 days into this new position and feel deeply privileged to have such an exciting responsibility. What I am most proud of is the principle by which AJWS does not tell people in developing countries what they need, what we will build for them, but listens to and guides grassroots organizations who understand the needs of their own people. As you can hear from my accent, I herald from the most colonialist country in history, so you understand why I find such a principle most refreshing. I just returned from a Study Tour to India with a number of our donors and our president, Ruth Messinger. I was proud to present to a group of Muslim girls and women in Calcutta, most of whom had never interacted with Jews, how it is our Jewish values that compel us into action against injustices: how we believe all people are made in the image of God and that every person has the right to live in freedom and dignity. AJWS has committed itself to help a broad coalition end child marriage. In India it is against the law to marry before the age of 18, yet 48% of girls reach that age already married, often with terrible consequences. Throughout the world, there are over 10 million child brides a year… 10 million…a year. Such statistics seem daunting that there is so much injustice in the world and it is so easy to burn out and walk away. But our Jewish sources also teach that while it is not for us to finish the task, neither are we free to desist from it. If you are new to the organization please take an annual report from the info table. It is the most concise and up-to-date reflection of our work. If you are interested in getting involved as an activist, please join Erica and our Action Team at 7pm in our office next door. Thank you for the taking the time to come tonight and welcome me into the AJWS family as we strive together to create a better world for all people. But more important. thank you for supporting AJWS with your financial generosity and your precious time. Each and every one of you make all that we do possible. In just over two weeks, I will travel with a group of global activists to India to see projects funded by American Jewish World Service and hear the stories of our grantees, their challenges and vision. 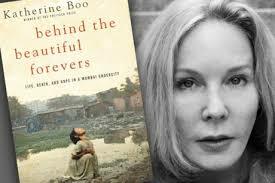 To help prepare myself, I just finished reading Katherine Boo’s Behind The Beautiful Forevers. I admit I do not often read non-fiction, but Ms. Boo truly brought the people she followed to life as though they were characters straight from a classic novel. I felt the same regarding setting and even plot (the individuals’ stories). This book has made me reevaluate how I feel about the genre. If you write or read non-fiction, this book is well worth picking up. If you don’t read non-fiction – it is still worth the read and is so accessible in Ms. Boo’s writing. I listened to the audio during my commute and walking my dog – it is a superb rendition. Ms. Boo follows the lives of a number of people who live in Annawadi, a makeshift slum that is both side-by-side and overshadowed by beautiful, pristine hotels and the Mumbai international airport, all within a stone’s throw of each other. Their stories reflect everything that seems so wrong in India, but it is told without condescension and judgment. Crime and corruption live alongside hope and the driving desire for dignity. It is the irony and frustration of a beautiful land and incredible people, more a continent than a country, several nations under one flag and within one border. But everywhere you go, you find a society immersed in a deep history, rich philosophies, and pulsating culture. I spent several months there when I was younger and, in many ways, I never left. While the memories have faded, the sensory assault dulled, Katherine Boo brought me back to the streets of India, even as I negotiated the BART public transport commute and long walks with my dog along the water looking out at the Golden Gate Bridge and Alcatraz . 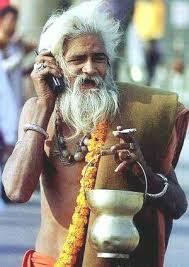 Back in the early 90’s I was a tourist on a spiritual journey to India to find myself. Two decades later, I prepare to return as a global human rights activist, working for a transformational non profit organization, and traveling with inspiring philanthropists driven to help make a better world for those most marginalized. To read about AJWS work in India, please click here. One of our main projects is the struggle to end child marriage. Despite a law making it illegal, 47% of girls in India are married before they reach 18. 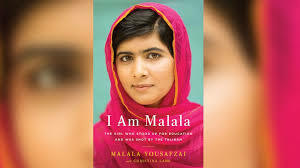 For the last month I have been utterly engrossed in the audio book I Am Malala, the story of an incredibly brave Pakistani girl who stood up to the Taliban for the rights of all girls to have an education. She almost paid for it with her life when at 15 she was shot in the head on a school bus from close range, and even had to endure a smear campaign after she survived. Here was my first introduction to Malala and why she inspires me each day to empower people to realize human rights and eradicate poverty in the developing world. 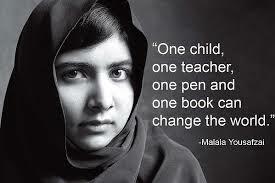 There can be no doubt that the common key to all these problems is education and Malala shines as an example to us all. Alon Shalev is the author of the 2013 Eric Hoffer YA Book Award winner, At The Walls of Galbrieth, and three more novels in the epic fantasy Wycaan Master series. Shalev has also authored three social justice-themed novels including Unwanted Heroes and The Accidental Activist. He swears there is a connection. Learn more at: http://www.alonshalev.com. I have been somewhat quiet on Left Coast Voices of late. This is, in part, due to a change in employment. I am now the executive director of American Jewish World Service, San Francisco and the Western Region. 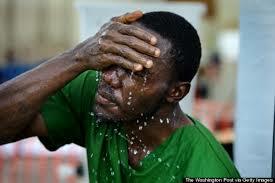 The AJWS works to realize human rights and eradicate poverty in the developing world. The best way to explain this transformational organization is to introduce you to Ruth Messinger, our president, as she addressed a group at Google last year. If you are inspired about this work and would like to learn more, please consider joining Ruth and myself for a study tour to India in November, Details can be found here. Happy to answer any questions and field any comments. Alon Shalev is the author of the 2013 Eric Hoffer YA Book Award winner, At The Walls of Galbrieth, and three more Wycaan Master books. Shalev is also the author of three social justice-themed novels including Unwanted Heroes and The Accidental Activist. He swears there is a connection. More at http://www.alonshalev.com. 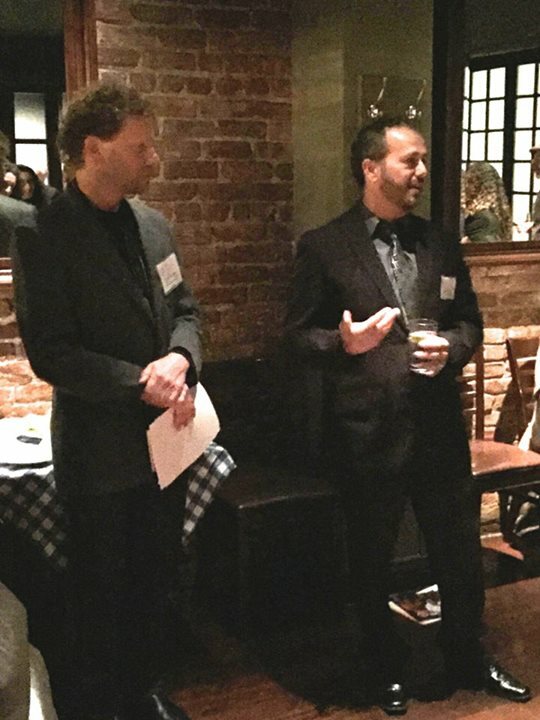 As you have probably heard by now, I have left my position as executive director of San Francisco Hillel. After nine amazing and challenging years, I am moving on to new challenges, heading the Western Region of the American Jewish World Service, an organization that, inspired by Jewish commitment to social justice, works to realize human rights and end poverty in the developing world. I want to take the opportunity to share a few thoughts. For many of you, I was a familiar face at Hillel, working behind the scenes to raise the funds necessary to run the organization, and often dealing with managerial issues and politics, whether on campus or in the Bay Area Jewish community. For some, I had the honor to lead you on birthright trips, alternative breaks, and to conferences such as AIPAC Regional and Policy Conference. These were the times when I had an opportunity to cultivate a deep relationship with many of you, one that stretched over several formative years for each of us. I treasure the conversations we had as we grappled with our Jewish journeys, our relationship to Israel, and our shared desire to strive for a more just world for all. You helped me form and change my opinions, and create a personal values-based platform with which to lead my life. I thank you for this and hope that I was there to help you grow as well. For many we bantered about the Warriors .v. Lakers/Clippers, or my beloved Arsenal (English soccer team), and I hope I enriched your language levels with my British English. For others, I was that crazy bloke who rapped his speech at the Final Shabbat dinner, the guy who joined conversations about politics, campus life, relationships, or whatever you wanted to share around the coffee machine. I truly treasured those moments and will hold them forever in my heart. I wish you the best as you continue along your chosen life path. Last month I turned fifty, and want to share that we never stop exploring our values, beliefs and life dreams. I hope you grow, seeing Hillel as a positive and integral part of your life. I hope you will continue to explore your connection to Judaism and the Jewish people, to the State of Israel, and to strive to create a more just society in the US and the world. 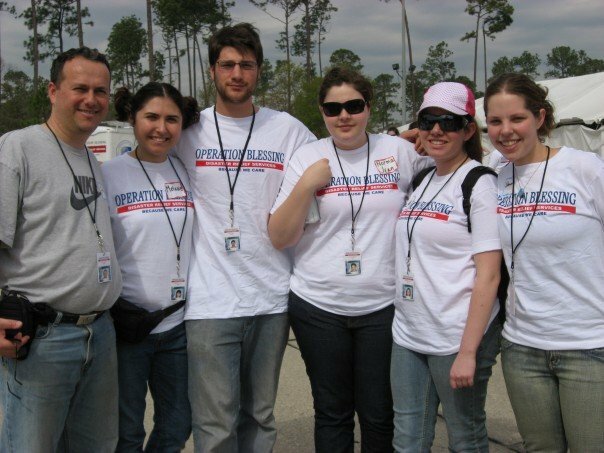 If you are still a student, please continue to take advantage of the opportunities that Hillel provides, to help create a vibrant Jewish campus community, to stand up for Israel, and enjoy the alternative breaks, conferences, and birthright, with the wonderful staff that continue to work at Hillel. If you are an alum/na, I hope you find your place in the Jewish community and continue to be an activist in whatever cause/s resonate with you. I hope you can take the values you honed at Hillel and integrate them into your own life. Please join and support the alumni network so that those who come after you will be able to enjoy the same benefits that you had. No one appreciates the value of a Hillel more than alumni. Become a mentor for a current student, help them to negotiate college life and prepare for graduation. Stay involved, even if it is only a $5 monthly gift, it is important. I want to thank the wonderful staff that made my time at Hillel so special. In particular, Rachel, Shushannah, Sima, Charlotte, Heather, and Yochai, all of whom helped make Hillel a family, not a place of work. Please welcome Ollie, my replacement (also a Brit, sorry! ), and Omer, the amazing new Israel Fellow, and help them grasp the complexities and the vision we share for Jewish campus life. Finally, thank you for being such an exciting part of my life. Please feel free to stay in touch via email (alshalev@yahoo.com) or look for me on Facebook and Twitter. I am sure our paths will cross again. Good luck in all you pursue for a happy and meaningful life. Alon Shalev is the author of the 2013 Eric Hoffer YA Book Award winner, At The Walls of Galbrieth, and three more Wycaan Master books. Shalev is also the author of three social justice-themed novels including Unwanted Heroes. He swears there is a connection. More at http://www.alonshalev.com. Yesterday was a landmark moment in my life. 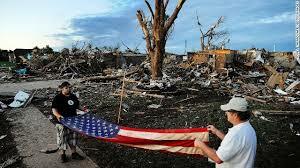 I stood before Old Glory and took the Oath of Allegiance. I am now an American citizenship. This is a culmination of an arduous process full of bureaucracy more than anything spectacular. But what began as essentially a pragmatic step transformed into a meaningful process. There is a lot wrong with the United States of America. The team here at Left Coast Voices has highlighted so much that needs to change if we are to truly reflect the vision and values of this country. But there is something incredibly inspiring about this country. Maybe you need to be an outsider to see it. Leaving the citizenship ceremony, I was overwhelmed with the desire to do something…American. We settled for hamburger and fries – the burger, of course, wild salmon or Zen-practicing fowl (I am still from Berkeley), and the fries would be chips and eaten with a fork (the rumors that the Queen defriended me on Facebook are false). 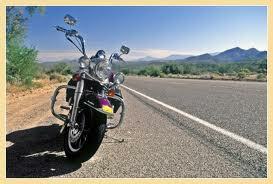 What I wanted to do was jump on my Harley, blast Bob Seeger or Bruce Springsteen and hit the open road. Now, notwithstanding that I do not own a motorbike, wouldn’t know how to listen to music while on one, and that my family and gecko would be distinctly uncomfortable hanging on as I negotiate the curves of the beautiful Highway 1, I was totally ready. I guess a Mustang would do the job too provided it had a sun roof to throw back. But there is something about the Open Road. I was born on an island where in a few hours in any direction and you would reach the ocean. I spent half my life in an even smaller country whose borders were never open for me to safely cross. I have read Robert Pirsig’s Zen and the Art of Motorcycle Maintenance and Jack Kerouac’s On the Road, each several times. I feel a surge of adrenaline whenever we leave the Bay Area heading north for a vacation or south to my good lady’s family. I used to spend hours planning the right music and where to stop. I once went three hours out of my way, detouring as an adventure (this was before gas reached $4 a gallon), hoping to see…what? 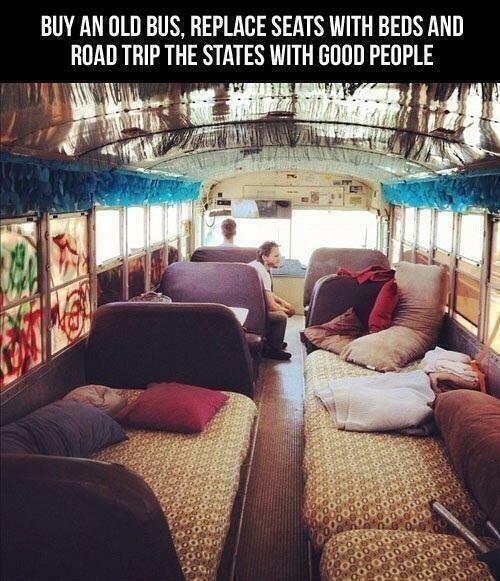 I fantasize that when retired, Mrs. Blogs and I will RV across this beautiful country. I have a friend doing just that and I love reading his stories. I have included many scenes from these road trips in Unwanted Heroes and its unpublished sequel. As I made the transition into fantasy, the landscape, trees and even stone hamlets found their way into my world building. I wrote earlier that you can find fantasy everywhere and the open road is such rich fodder for authors. But for now I want to avoid Odessiya and other mythical realms. I am in America and the magic of the open road is a connection to share with my fellow Americans. If you don’t believe me, check out Lana Del Rey’s amazing video: Ride. And for those of you who are worried, I have not abandoned my roots in a purge of patriotism. Come June 12, my half century celebration, I will still don my England soccer shirt and cheer the Three Lions. Some habits run too deep. But after they crash out of the World Cup, I can console myself and hit the open road with my friends and fellow countrymen and women: Bob, Bruce and Lana. Meet Tim Balz, a high school kid with a talent and a vision. He could have invested his time and skill to make money and created a start up or be recruited by a big company. If that is what he wants after college, I hope he gets it. What he is doing now is simply awesome.